Item number 3254/39 from the MOA: University of British Columbia. 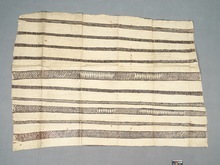 Rectangular tapa cloth with one uneven edge. The bottom edge is serrated. 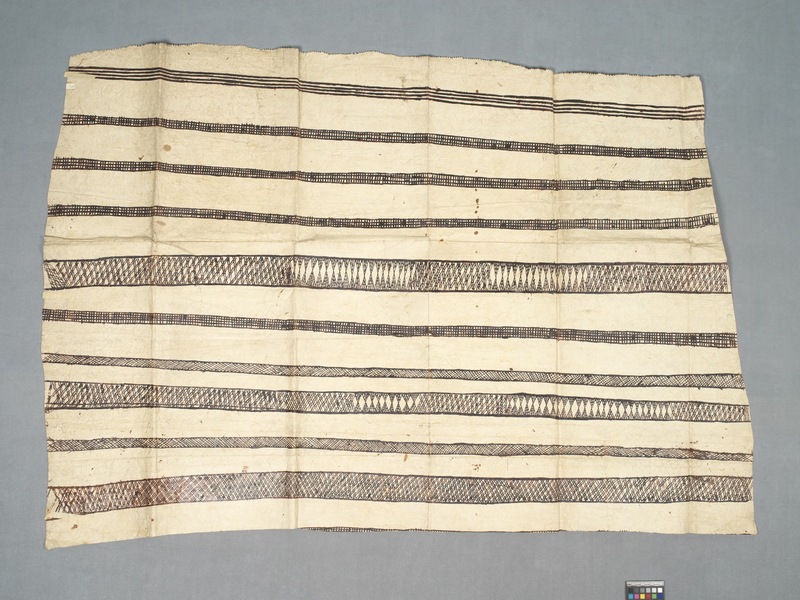 The cloth is divided by lines with geometric designs throughout.